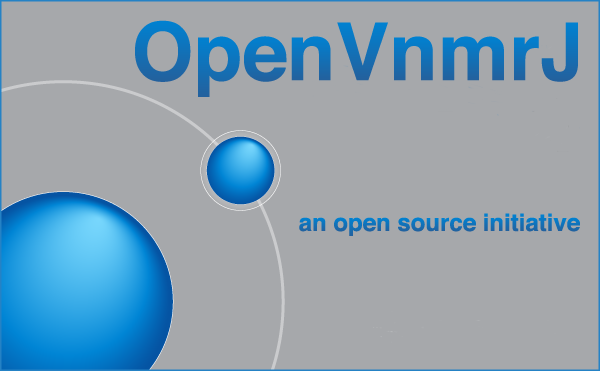 The OpenVnmrJ project as a community revolves around OpenVnmrJ as a piece of software. OpenVnmrJ resulted from the open-source release of commercial software for NMR spectrometers. We are a group of open-source developers and users who develop, use, document, and promote OpenVnmrJ, NMR spectrometers and data stations running OpenVnmrJ, and other related activities for our mutual benefit. OpenVnmrJ is the Open Source parts of VnmrJ 4.2, used for NMR Data processing and acquisition. The software runs on Linux: Centos 6 and Ubuntu 14.02, Trusty Tahr are the currently targetted hosts. As a datastation, the software runs on OS X 10.09 to 10.11. - All these are open sourced and can use help to maintain code, fix bugs, add new features, and improve the user experience for all uses of OpenVnmrJ. The GitHub repository is for people that want to download, compile, fix and contribute back to the community. If you only want to download and run OpenVnmrJ, you should get a pre-built archive and install a local copy. See Downloading for more information. See the Contributing to get started. The University of Oregon (“UO”) legally owns the project assets. Most of the code and documentation are licnesed under the Apache 2.0 license, but some parts are licensed under the GLPv3 license. To the fullest extent allowed by law, the work is provided “as-is” with no warrantees whatsoever, either expressed or implied, oral or written. Agilent and OpenVnmrJ specifically disclaim any warrantees of merchantability or fitness for a particular purpose.